Cheap leather sofas shouldn’t mean cheap looking leather sofas. 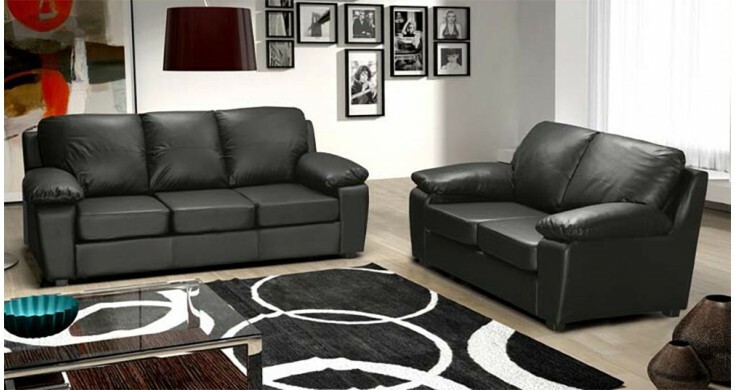 Here at RJF Furnishings we have the Madrid PU black faux leather sofa collection. It looks and feels just like leather but at a fraction of the price. The Madrid can easily withstand the day-to-day activities that sofas have to endure. The black faux leather would look great in any living room. We don’t compromise on quality with our cheap leather sofas and we offer a full refund to anyone that is not happy with the sofa that they have purchased. The Madrid is amazing at the price and can be delivered quickly to your door. If you are interested in the Madrid collection or any other cheap black leather sofas in any of our collections that we stock, simply order online today.